On Saturday, September 21, 2013, Forum Theatre will convene a Town Hall on diversity and inclusion in theatre. 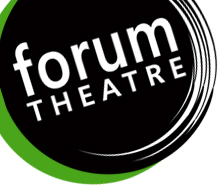 The purpose of this Town Hall will be to gather stakeholders--artists, audience members, and neighbors--around the idea of making diversity and inclusion essential core values of Forum Theatre. 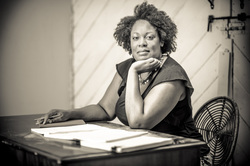 Playwright Jacqueline E. Lawton will facilitate one of the breakout sessions. "I've been holding the date for Forum Theatre's Town Hall on Diversity and Inclusion since May," explained Playwright Jacqueline Lawton. "As an advocate for diversity and inclusion in the American Theatre, I'm honored to take part. It's been wonderful working with Michael during this process. A shift in one core and practicing values is at once challenging and inspiring. What I appreciate so much about the work Forum is doing is that the growth and development is coming from a place of deep inquiry and open discussion." For questions, please contact Michael Dove at michael@forum-theatre.org. Jacqueline E. Lawton was named one of 30 of the nation's leading black playwrights by Arena Stage’s American Voices New Play Institute. Her plays include: Anna K; Blood-bound and Tongue-tied; Deep Belly Beautiful;The Devil’s Sweet Water; The Hampton Years; Ira Aldridge: the African Roscius; Lions of Industry, Mothers of Invention; Love Brothers Serenade (2013 semi-finalist for the Eugene O’Neill Theater Center’s National Playwrights Conference), Mad Breed, and Our Man Beverly Snow. Lawton’s work has been developed and presented at the following venues: Active Cultures, Classical Theater of Harlem, Folger Shakespeare Library, theHegira, Howard University, Kennedy Center’s Page to Stage Festival, Rorschach Theater Company, Savannah Black Heritage Festival (Armstrong Atlantic State University), Shakespeare Theatre Company, Source Theatre Festival, Theater J, and Woolly Mammoth Theater Company. She is published in Experiments in a Jazz Aesthetic: Art, Activism, Academia, and the Austin Project (University of Texas Press). Ms. Lawton received her MFA in Playwriting from the University of Texas at Austin, where she was a James A. Michener Fellow. She participated in the Kennedy Center’s Playwrights’ Intensive (2002) and World Interplay (2003). She is a 2012 TCG Young Leaders of Color award recipient and a National New Play Network (NNPN) Playwright Alumna. She has been recognized as a semi-finalist for the Eugene O’Neill Theater Center’s National Playwrights Conference and the Playwright's Center PlayLabs, and as a SheWrites Festival finalist. A member of Arena Stage's Playwright's Arena and the Dramatist Guild of America, Ms. Lawton currently resides in Washington, D.C.